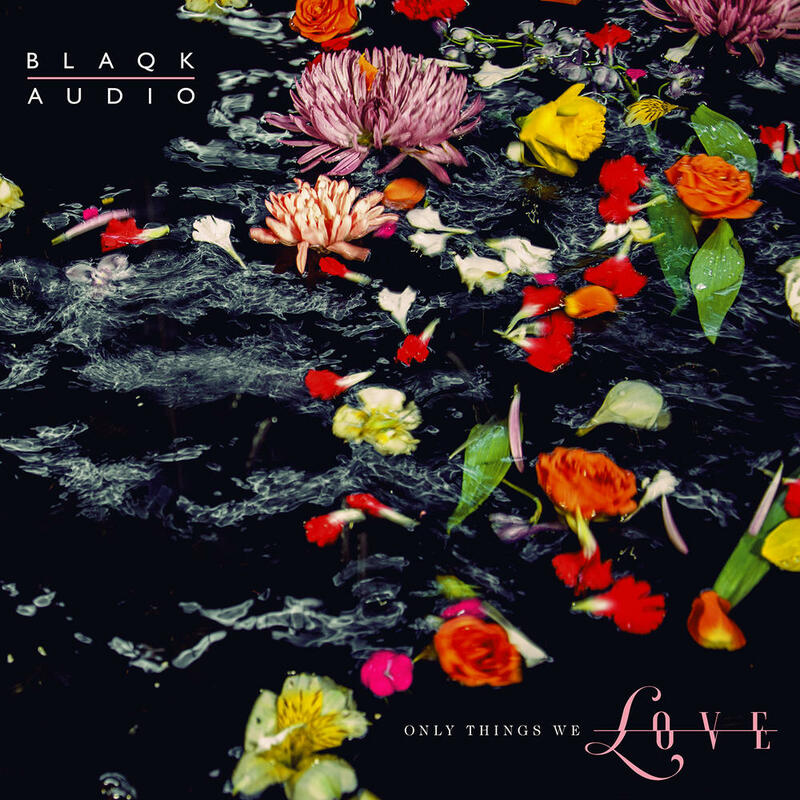 Album Review: Blaqk Audio - Only Things We Love - GENRE IS DEAD! Ever since 2007, punk rockers Davey Havok and Jade Puget, better known for their work in AFI, have explored their electronic dance side with Blaqk Audio. The duo returns this year with their fourth album, Only Things We Love. This time around, they lean towards a more aggressive, intense sound. Normally, they dig into their 80s influences, like Depeche Mode, The Cure, and New Order. And while that’s not abandoned here, the music is more akin to the 90s underground electro music scene. While the new direction is refreshing, it doesn’t take long for them to fall into the same tricks. The first three tracks are absolute bangers, kicking things off on a high note. “The Viles” shows off the band’s heavier, more aggressive direction. The throbbing bass and pulsating rhythm sound like it’s ready to crush you, while Havok’s robotic vocals complete the cold mood. It sounds readymade for a 90s underground night club. “Infinite Skin” is more of the irresistible electropop Blaqk Audio excels at. It has a familiar sound, but its bouncy music and catchy hook make it one of the more memorable tracks. The electropop sound returns on the understated “Unstained,” and manages to be a strong point with its blend of 80s dance music and dark wave. “OK, Alex” possibly the best song on the LP, makes you want to break out the glow sticks and rave. Its intense, pulsating music draws you in while the simple hook is infectious enough to get stuck in your head all day. Havok is playful yet tantalizing as he sings “Kiss my lips/Could use your mouth or your fist” adding his own sense of darkness to the track. It’s an energetic track that’s a blast to play on repeat. The rest of the album finds Blaqk Audio falling into their tried and true pattern: songs with frantic upbeat music, catchy hooks, and dark ambiguous lyrics about love, death, and loneliness. Aside from a handful of songs, most of them sound the same. “Dark Times at the Berlin Wall” is too similar to CexCells’ “Semiotic Love” while tracks like “Dark Arcades” and “Enemies Forever” rely too heavily on generic electronic music heard on countless dance tunes. Other songs like “Muscle and Matter,” “Maker” and The Cure influenced “Summer’s Out of Sight” are decent at best, but the uninspired music and dull lyrics make them forgettable. While these tracks aren’t bad, there’s very little about them that grab your attention. Only Things We Love is a solid album with its high points but finds Blaqk Audio playing it safe once again. The new heavier direction is a welcome change that had potential to shake up the album, but they didn’t push it far enough. Instead, they return to the sound they know best. Most of the album is forgettable relying on the same music, beats, and lyrical themes they’ve explored on past releases. Still, it has its moments that are sure to satisfy Blaqk Audio fans. It’s an enjoyable listen, but there’s very little about the album that keeps your attention for 42 minutes.